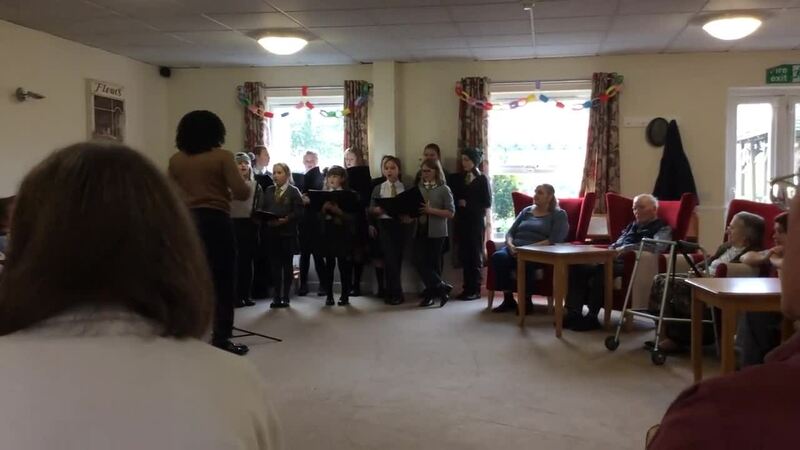 On Monday 12th December Highnam Academy choir visited a local care home to share some festive joy with the residents. The pupils had been working hard with Mrs Smith to prepare for the visit and had a number of songs to sing. These included: This Little Light of Mine and Go Tell It On The Mountain. Afterwards the pupils sung some well known Christmas carols such as Away in a Manger. It was lovely to see the local residents joining in with the songs being sung - Jingle Bells was a popular choice which was sung more than once! Thank you to parents who kindly provided cakes and mince pies for the residents, to the pupils for their beautiful singing and to Mrs Smith for leading the choir.